I'm not sure how to cook these, but I assume gas oven is not recommended. 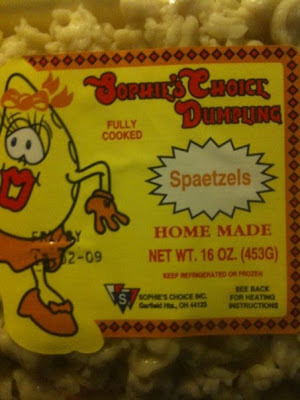 They are a type of German dumpling, when made fresh you chop the mixture into a pan of hot water, I suggest you heat them up the same way. Alan G must not be familiar with the particulars of the novel Sophie's Choice.